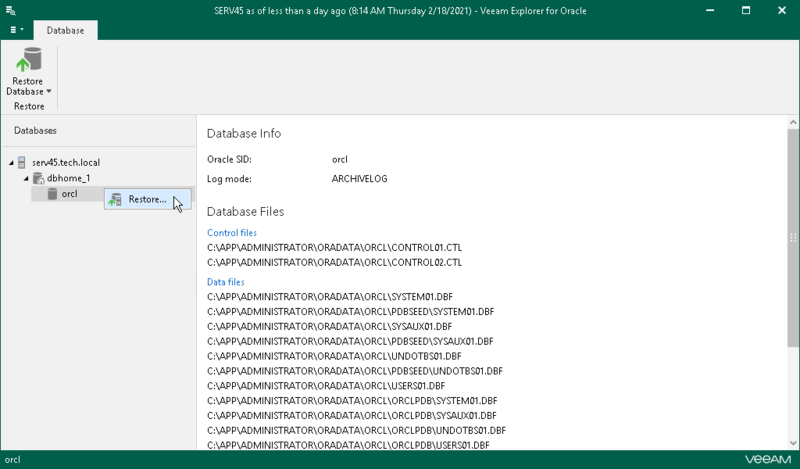 This section explains how to restore backups created with Veeam Plug-in for Oracle RMAN. For more information, see the Veeam Plug-in for Oracle RMAN section of the Veeam Plug-ins for Enterprise Applications user guide. In the navigation tree, select a database. On the Home tab, select Restore Database > Restore or right-click a database and select Restore. Proceed to Specify Recovery Type.